Norwegian Cruise Line have announced that the cruise lines largest cruise ship Norwegian Epic will be sailing from Barcelona, Spain from 30th April, 2015. Barcelona is popular destination for all of the worlds biggest cruise lines and Norwegian Epic will be the largest ever to sail year round from the European port. NCL have yet to release the itinerary details but will in the month of March. 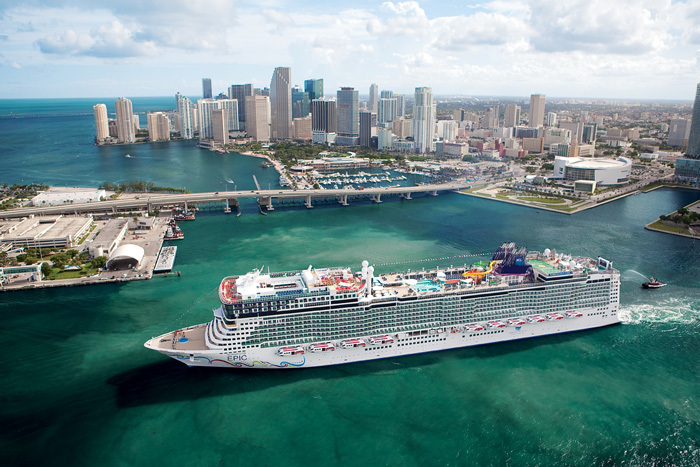 Norwegian Epic is currently sailing from Miami, Florida to Eastern and Western Caribbean and no details are known as yet if another Norwegian cruise ship will take over those itinerary. Norwegian Epic launched in June 2010 and is 155,873 gross tons. it was also the first ship to introduce the Ice Bar at sea where passengers can enjoy a bar experience in a cold ice lounge. Let us know what you think of NCL Epic sailing out of Barcelona in the comments below.